There are many differences between iron and steel. Primarily, iron is an element while steel is an alloy comprising of iron and carbon. However, in this alloy iron is present in a greater quantity. You can add various other metals to steel so as to produce alloys that have different properties. For example, if chromium is added to steel, stainless steel is the product. It is durable and doesn’t rust easily. In the construction industry steel is used on a large scale. This is because steel is stronger than iron and it has better tension and compression properties. Another difference can be perceived via looking at the percentage of carbon. The iron that contains less than 2% of carbon is called steel whereas which contain more than 2% of carbon is known as pig iron. When iron ore is processed with coke in a blast furnace, pig iron is obtained. When this pig iron is further processed to reduce the carbon percentage, in various furnaces, steel is obtained. Now, steel can be further processed to obtain various types of alloys. Elements like silicon, manganese and chromium are added for making alloys. Looking back at the history, it is not exactly known when iron making technique was actually discovered. However, according to certain archaeological findings, iron was used in making tools in Egypt in 3000 BC. The Greeks advanced a little further and in 1000 BC, they manufactured hardened iron weapons. Thus all other type of iron that was manufactured can be classified under the category of wrought iron until 1400 AD. It was only after 14th century, furnaces that were used in the smelting process increased in sizes. The iron was pushed in the upper part of these furnaces. It was reduced to metallic iron and then carbon rich gases were introduced by a blast, so that metallic iron would absorb them. The end product thus obtained was pig iron. It was further refined to make steel. 1. Iron is an element while steel is an alloy. 2. Iron was known to the humans from the beginning of civilization; however steel was discovered much later. 3. Steel is a derivative of iron. Manisha Kumar. "Difference Between Iron and Steel." DifferenceBetween.net. September 9, 2009 < http://www.differencebetween.net/object/difference-between-iron-and-steel/ >. compare with iron and steel. It needs an edit: “…comprised of iron and carbon”. Also, either iron is an element or it is not an element. It can’t be “primarily an element,” because that suggests that it is something else also, perhaps an animal. There are a lot of other writing errors here, which makes the entry difficult to follow. Thanks for the differentiate the iron & steel in a detail but still confuse that ” how is steel stronger than iron” . Thanks for the “Difference Between Iron and Steel” but i wanna ask you which one used in industry mostly between iron& steel. Steel gets its hardness from carbon. Carbon in steel is in the form of carbides. 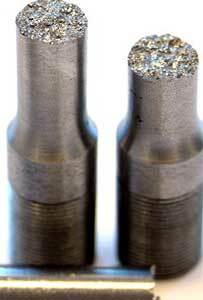 As more carbon is added to steel it precipitates into a flake form which then decreases its tensil, hardness….. These “flakes” gives iron its cooling properties. This is why engines are made of iron and not steel. You mention that steel is refined only 1400 ad year. I believe its false.. The mesopotamian culture Asyria used steel in 1000 bc, they were the most fearsom woriors who invented trebushets and so on so on..